Are you wracking your brains trying to build a perfect platform to profit from? Thinking if there exists another technique to make profits from mobile services besides ads? In-app type of purchasing is the solution to given issue. Alternative strategies of monetization shall be your guiding stars. Awareness of correct content for in-application purchase is your instrument to turn on your in-app purchases. Wise approach and proper management shall optimize your in-app purchasing. Be prepared to find out dark secrets of mobile purchase processes! We have undertaken an extensive study on how to make money in your service, and the best approaches to recoup your investments. We would like to share with you what we have found out. We won’t go too much into technical details, as, in case there is a need, we will prepare another study devoted to such an aspect. Shall we start? Building consumer software one day you start thinking about designing a mobile platform. It goes without saying - you cannot do without it! 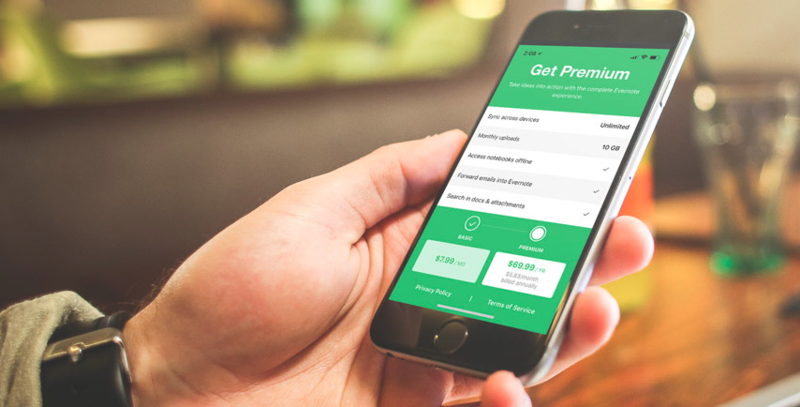 Once you begin designing a mobile service, you ponder upon monetization options. 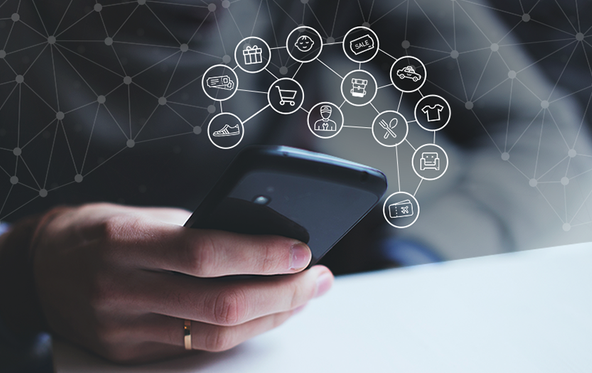 There exist multiple approaches to drive revenue from mobile services. “Isn’t it so obvious just to build a paid platform?” - you might think. Not quite right... 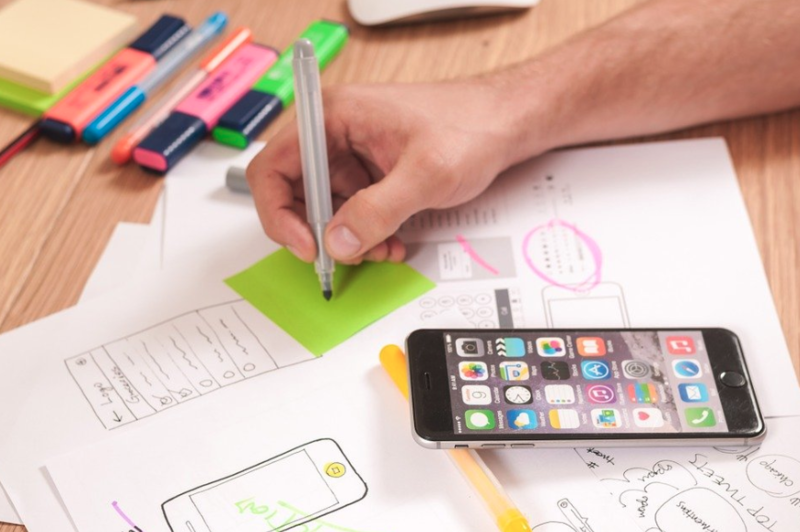 Creating paid services isn’t so common type of monetization in mobile applications, as being a startup with unknown brand won’t persuade users to pay for your program even offering the best list of in-app purchase selection. Free services with in-app purchases, of course. By the by, we have conducted deep research on various app monetization models. Interested? You would find our detailed analysis in this exact article. Given material is devoted to optimizing in-application purchases on mobile, and now the time has come to deal with the meaning of in-app kind of purchases. Shall we? What is an in-app purchasing? App owners attempt to encourage their in-application purchases to drive revenue on them. To fulfil your dreams, it’s enormously essential to understand a concept of specified purchases itself. Thus, we shall devote our attention to sort out what in-app purchases really are. 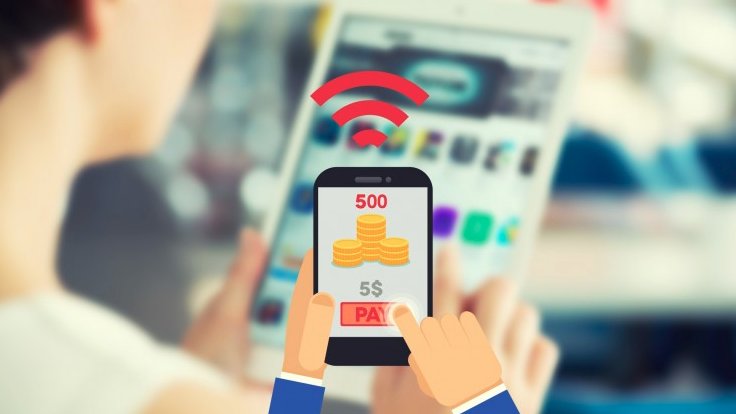 Being considered to be a key strategy of app monetizations, in-app purchasing (IAP) reflects a phenomenon of procurement of virtual goods available at the platform. We shall discuss each of them to figure out how IAP content is made, shall we? Given digital content belongs to acquisitions which could be done repeatedly. They’re one-time pieces, say, stickers in a messaging application. Basically, such items involve positions to be expended throughout the platform’s life. Mentioned content type of in-app purchases is also known as entitlements. In this case, it’s about non-recurring acquisitions. Such items shall not lapse or decrease with the use. Being a vital part of IAP strategy, non-consumables shall help you submit several themes on your service, so the audience could adjust and personalize them. Being a working monetization model, subscriptions imply audience to pay you a specific amount of money every certain period of time - you decide if it is every day or every year - to use your platform or enjoy great additional functions. Building a free platform, the free version turns to be highly simple having only basic functions. Trying to build a more valuable app, you could install more precious features into a Premium package that would need a subscription. Attempting to optimize IAP designers resort to specific tools to create in-app purchases features. Certain resources match particular brands and models of cellphones, thus, third-party support simplifies in-app purchasing for designers. Sometimes mall outlets owners wonder if they need to go mobile implementing in-app purchase options. They simply expect people to come to their shops and buy goods. It sounds reasonable. However, people are getting engaged in mobile gadgets more and more. Nowadays, they would rather research potential purchases through their cell phones than by going shopping. In some cases, customers might begin their purchasing process on mobile and finish it on the web or in person. It might be pretty risky, as each time when a customer performs some kind of transition during a purchase process, there is a chance he would change his mind. Thus, brands which realize what in-app purchasing is and what it gives, implement that option into their mobile services to encourage customers to finish the purchase by means on the app. Every day in-app purchasing is gaining in prominence, so far-sighted developers take it as a must-have feature. Wondering on how in-app purchases actually work? Let’s review the case right away. When it’s about in-app purchasing, the concept of monetary funds transfer is pretty clear. Since necessary payment data is already located on the gadget, all a customer has to do is to insert needed info into a corresponding checkout section of the app store. As you can see, the purchase process through mobile phones is a piece of cake. 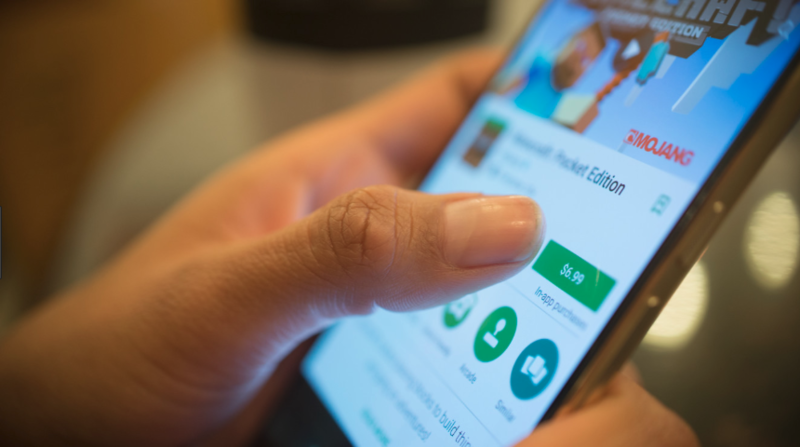 Android fans are able to enable in-app kind of purchases by means of Google Play, whilst iOS enthusiasts shall launch it through the App Store. Don’t forget that iOS in-app billing requires StoreKit, whereas Android services demand In-app Billing API of Android SDK. It’s pretty easy to distinguish one from another. Users promptly receive the first option at their disposal. Regarding the second variant, clients shall upload the content they buy. Given content to ensure in-app sort of purchases is provided through certain identifications which have to be one-of-a-kind for every product (SKUs). Being retained in a catalog, they turned to be accessible after the payment has been made. Typically, this is the case of traditional functionalities, hence, developers prefer to install those in advance. Here, In-app Billing API and StoreKit take care of funds transitions of in-application purchases. They serve as indicators of IAP execution or failure. The approach presupposes IAP content be uploaded from the server. Thus, you offer your customers greater diversity, encouraging in such a way in-app purchases by means of mobile phones. As a rule, deliverable elements refer to subscription options. Since all incoming functionalities and elements are located at the server, to integrate an additional function or a product service update is no longer required. A platform requests its server for a list of items available for download. A platform shows fresh items to a user. A user chooses an item to buy. StoreKit or In-app Billing API of that platform seeks authorization to transfer the funds from the server - Apple or Android one. The reply is obtained by StoreKit or IAB API. A platform submits the reply to the server. The response is double checked repeatedly. An app uploads a new item from the corresponding server. Another key point to consider is a location to store in-app purchases data on every customer. In case, a user decides to remove your service and install it later, all IAP records shall be recovered. Lucky those who work with iOS In-App Billing - upon enquiry App Store shall provide app owners with required info. Unexperienced IT guys believe they are to receive all the money from each deal. Creating in-app kind of purchase feature platform owners have to realize - they are to obtain only up to 85% of the funds from each in-application purchase their clients perform. That’s a fact! Revenue is trimmed with commissions that Google Play and App Store charge to perform business operations through their web-servers. After having realized that a fee of 30% to perform IAP is a little bit too excessive, in 2017 Apple reduced subscription fee to 15% under a certain condition - the platform is to hold a subscriber over at least one year. Google followed the example of Apple. Further on, let’s deeply analyze what IAP content options app owners are able to offer their dear clients. Without further ado, we are to see how to enable in-app sort of purchases by means of specific IAP content solutions you offer. Do you realize how irritating it is to get annoying advertising popped up when being in the middle of something with an app? Especially when you are short of time! It happens that customers get really frustrated because of it. Developers can come to the rescue by providing a very simple solution to their audience - customers shall carry out one-time payment to enable advertisement once and forever. Thus, such IAP content helps developers get more money through mobile platforms. Cold figures prove that among all IAP content options audience would rather prefer consumables (about 68%), thus, app owners make better money by means of in-application purchases. Non-consumables represent around 30% and there are only 2% for subscriptions. In case you are somehow limited and have to pick only one of those three means of app monetization, don’t doubt to prioritize consumables. It shall do the magic to enhance the conversion rate of your IAP. Let’s say you have a stock of functionalities to sell. It would be a smart idea to combine them in a group and sell in a single bid to buy. People actually enjoy buying in quantity. Moreover, “buy 5 and receive 3 free” also works. You might notice such marketing tool in supermarkets. Why not take that opportunity to encourage your purchases through mobile devices? Designing your platform brainstorm on generating some kind of time limits. That could be a great IAP strategy! Offer your audience short-time deals. Thinking on how to enable in-app kind of purchases? Give your customers half off sale on core products and it’ll motivate them to purchase more. A countdown timer could develop such a sense of urgency. Showing how long the bid is valid might trigger audience decision to buy. Tracking and analyzing your IAP offerings - adjusting “remaining time” and “price” - shall reflect the best in-app purchases combination. inviting their friends to enjoy the platform. As you have noticed, currency isn’t the only approach to monetize mobile applications. Remember about the advantages of given non-purchase options. Such an approach works for an in-app purchase of a subscription model. Trak - Software As A Service (SaaS) company platform - managed to raise paid conversion by 33% applying for free trial extensions. Firstly, having positive feedback and product propensity, the conversation was rather sad than promising. Thus, Trak.io divided the audience into six categories, proposing free trial extensions in exchange for their feedback. They took feedback data to solve customers’ issues. Eventually, the platform has enlarged service feedback by 27% and improved conversion rate by 33%. Maybe this is a wise reply to “How to get in-app purchases boosted?” question. Right now it’s time to share good advice you can use in your strategy to turn on in-application purchases. Elaborating smart strategies to monetize your platform is what you need to manage in-app kind of purchases successfully. We have prepared useful hints and tips for you. Here they come. Users data is what you need to know your target audience. How can you sell a product, if you aren’t aware of what your users prefer and what they want? Proper market research exposes customer behavior. You should apply received data to adjust your strategy to ensure better performance, to identify places for potential sales to more users. Building a service specifically for your users is the way for designers to profit from in-application purchases. Remember how app rating and review technique works? It comes to be effective only when the audience is largely hooked to the service. The same applies to the IAP conversion rate boosting. Show the main value of your app clear straight away, and demonstrate users why they need it. Engaged customers plus fabulous user experience generate paid users. Client engagement depends on how burning customer issue is and how prompt and effective you are in resolving it. 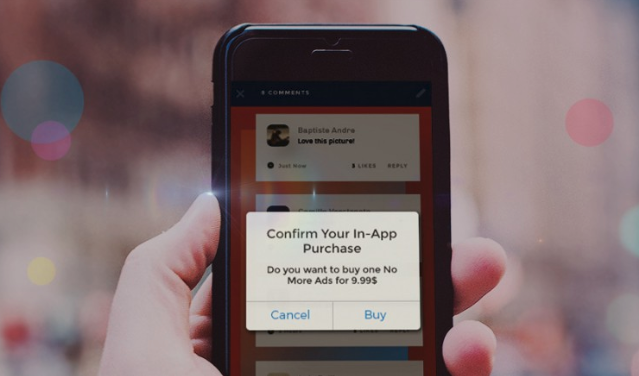 Think of the mentioned key to boost in-app sort of purchases. Studies reflect only 2% of all users to buy IAP content. It has been proved that $0,98-$1,99 items usually bring 6% of overall income, and $9,98-$19,99 products bring 46% of final income. Surveys show customers would rather prefer big purchases. While paying more attention to $0,99 deals, in the long run, you will obtain more revenue on big-price offers, even selling less of them. Play smart if you want to get revenue from in-app purchases. Let’s have a look at a specific example to explain the approach. Just picture yourself in a coffee house selecting the cup size of your favorite latte. Which one would you prefer? Why? 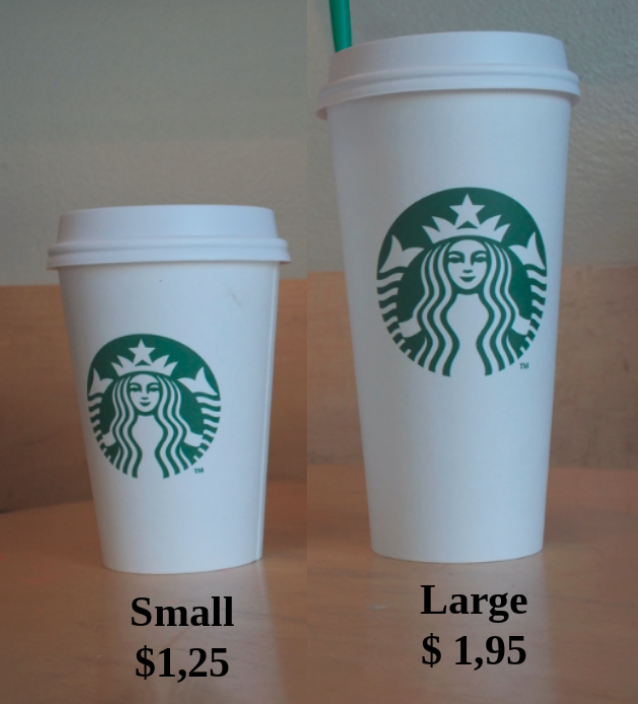 Statistics show 74% of customers would rather take the large cup and about 26% would go for a small one. 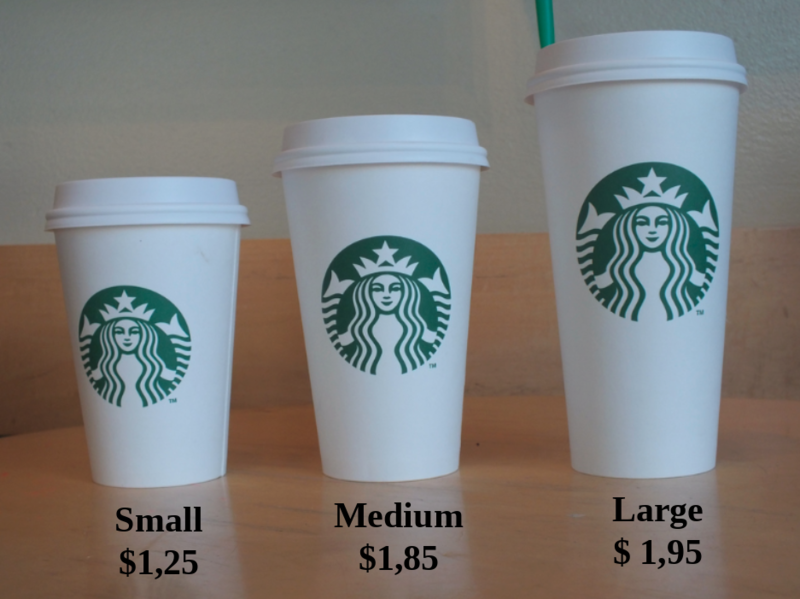 It makes sense, as the medium size doesn’t look so advantageous prices. And what would you buy from the following selection? The reality is that 87% would choose the small cup. If you perform simple calculations you realize that by including the decoy medium cup, coffee houses make a really good profit. The decoy effect is achieved by presenting three items - one of them is a decoy item - showing people what a great deal you offer them. The mentioned coffee case could easily be adjusted to be an IAP strategy to monetize your app. It’s nice to have a great free plan, but don’t make it too great. Hootsuite acts smart. Their free plan includes multiple functionalities, social profiles, simple analytics - customers are happy. However, when using the platform to perform business operations, they require more accounts. The upgrade would do the magic ensuring more sophisticated analytics and better collaboration. The conclusion is simple: once a customer is happy and satisfied with basic free options, feel the moment when the usage increases to offer your in-app purchases. Such notifications might motivate users to take a deal. Interesting fact: customers enjoying the service for 3 days decide to upgrade four times as likely. Your service analytics shall show you the target segment. When applied wisely, such instrument enables making money with in-app purchases. Pay attention to how your in-app purchase content is presented, every tiny detail of it. 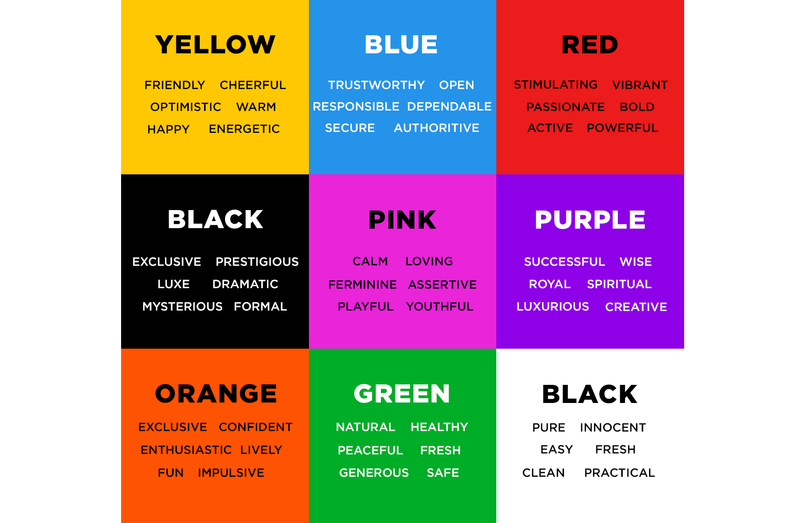 Among other things colors significantly influence customers’ purchasing behavior. A/B testing methodology shall present you best colors and their combination to strengthen IAP conversion rate. Don’t expect any major UI redesigning. The change of the “Buy” button color might do the trick. Red builds urgency, thus, it’s a perfect match for time-restricted offers. Blue conveys security and respect. Black associates with luxury goods, hence, combining it with gold, indicate the most valuable items your in-app purchases offer. Why not apply such instrument to optimize your IAP? Users enjoy your service, thus, in-app messages shall reveal new functions, bring more happiness or present a premium package. Such auto emailing marketing tool serves to schedule and send emails automatically. Given approach - when being smart and relevant - assists users discover new functionalities and renovations. SMS are more effective as they engage better compared to emails. Statistics prove 90% of all SMS are read during the first few minutes after being received. Being limited to 160 characters only, SMS shall present the most vital data pushing customers to act. Given the means of drawing, attention shall enhance users conduct significant in-app purchases. Speaking on how to enable in-app purchases for Android, it requires the integration of In-app Billing version 3 API together with Trivia Drive. That will need a Google e-wallet account. Keep in mind that Google charges a 15% commission fee on every transaction. Applying a given approach you are able to build paid subscriptions. Thereby, your customers will have the possibility to try items for free during some time and buy them later. However, remember on its drawbacks - necessity to update mobile service every time the API is upgraded, limited platform performance, inability to obtain Validating Purchase Details... In case you aren’t ready to accept those disadvantages, think of using third-party libraries to install the APIs, like Checkout library or RoboBillingLibrary. Basically, if you decide to design IAP for Android, be prepared that it’s not that simple. As to iOS particularities, there are few points you should be aware of. Lots of iPhone platforms are designed to purchase extra features, content or resources from within the service with no need to visit a separate store. Thus, purchasing content without even realizing it, users might end up with huge bills. As a developer, it’s vital to ensure the most comfortable experience for your customers, and being aware of what is happening makes a positive contribution to it. It’s your task to provide your users with a simple and easy way to switch off the possibility to purchase within the service. Designing a customer friendly platform is the right solution. All people tend to create powerful associations between what they feel and what they experience when being in different places. Given principle equally applies to apps. It’s up to you to make your customers feel good and cozy using your service. Think of a nice touch for them. What if you give them a small present just because they have installed your app? They always appreciate such good deed associating your service with pleasant experience. When customers associate your platform with positive emotions, they’ll probably spend money enjoying your service. It’s extremely important to remember! Avoid everything which might annoy your customers. Be super polite and use the nicest language you are capable of. Speaking of customer satisfaction, kindness is your most powerful tool. Only happy users will purchase your stuff. Making your users angry you risk your app be deleted completely. Unsatisfied clients might also ruin your good name. Putting your users on the first place and building a customer-oriented platform you’ll drive revenue from purchase process on mobile. Another great idea would be to conduct an analysis of existing apps that have in-app purchases to see what your market niche competitors have discovered. Why not learn from their experience? Provided your app is already successful, under current market conditions with multiple rivals you shall never stop constantly optimizing your service. What is the way to improve my IAP strategy? What is a technique to come up with a more appealing in-app purchase content? What could be a tool to make my content easier to buy? We assume now it’s clear what in-app purchases mean, how to enable them and how to profit from purchase process on mobile. With the right approach, the IAP strategy ensures a sustainable source of income to an app owner. Applying one or few approaches mentioned in our study shall improve your conversion rates. Different points of our guidelines might fit different services and various in-app purchase models. Hopefully, right now you feel inspired having multiple ideas and concepts willing to implement them in your creation. Don’t hesitate to contact us, so we’ll assist you with IAP feature installing. Read our article about new shopping features which would lead your e-commerce application to success.